"Prospects for a North Korean Nuclear Deal"
Iran and North Korea pursue the same ultimate goal: nuclear armament. However, they have chosen fundamentally different strategies and approaches. There are also stark differences in the legal regimes governing their nuclear activities, levels of commitment of stakeholders to halt and roll back the respective nuclear programs of the two states, and in the nature of alternatives to a diplomatic solution they face. First and foremost, there is a subtle but clear difference in strategies. Iran’s immediate objective at the current stage is not nuclear weapons. It is to develop “capabilities” that can be used in manufacturing nuclear weapons whenever they decide to produce and deploy them. To this end, Iran has taken a smarter tactic of pretending to comply with the NPT under the cloak of peaceful uses of nuclear energy. Even though there have been some violations of the IAEA safeguards along the way, they have been resourceful enough to take advantage of the loopholes and gaps in the current international nonproliferation regime in building their nuclear capabilities. Iran has thus far concentrated on reducing the distance from the breakout to the nuclear threshold. Assuming that Iran’s interim objective in the process of developing nuclear weapons capabilities is to master the enrichment technology, what it needs most now is international recognition of its legitimate right to enrich uranium. Reducing the enrichment rate from 20 percent to 5 percent is nothing more than one tactical step backward today in order to move two steps forward tomorrow. Iran has been able to outmaneuver and outsmart the P5+ into raising the price of its concession on the enrichment rate and selling it at a far higher price than it is really worth. Without giving up anything substantive Iran was able to give the P5+1 a fig leaf to claim success in the Geneva interim nuclear deal. In the event that, in the final deal, Iran is allowed to keep only one tenth of its 19,000 centrifuges for research and development purposes while freezing the rest, it means an addition of only a few more months from the breakout to actual nuclear armament. All the P5+1 earns is the same amount of time for diplomatic and military intervention in return for the repeal of the sanctions in place and the recognition of Iran’s right to continue its enrichment program on a drastically reduced scale. 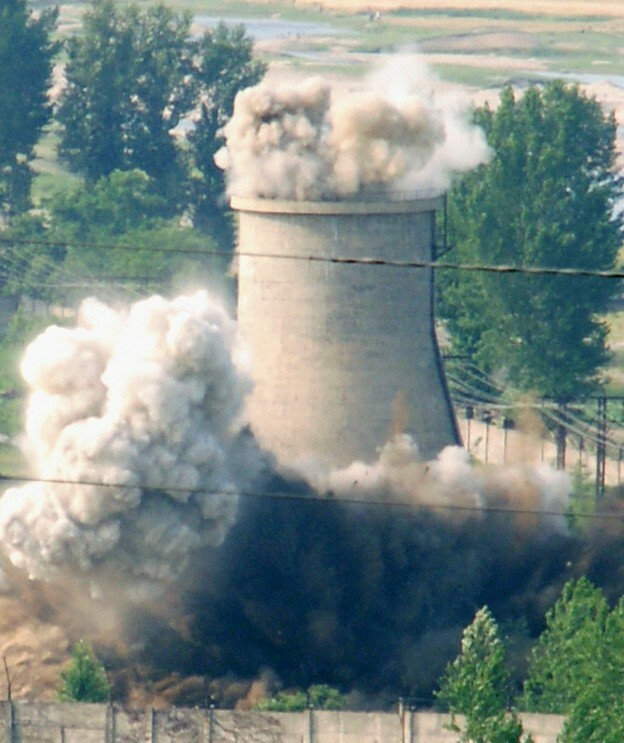 In the case of North Korea, it could never settle for anything less than nuclear weapons, although it also began in the 1980s by building up capabilities, including the acquisition of a 5 MW graphite-moderated research reactor and a reprocessing plant to separate plutonium from the fuel burnt in the reactor. One similarity with Iran in initial strategy is that the North Koreans also started out with the pretense of compliance. However, once they were caught red-handed cheating, they changed their tactic from deception, denial, concealment, and prevarication to that of breakout and blatant nuclear armament in open defiance of the international community. Second, the legal regimes applicable to the two states are totally different. As a party to the NPT, Iran, arguably, has a legal right to enrich uranium and keep enhancing weapons capabilities as long as it pretends to comply with the IAEA safeguards and refrains from diverting its enrichment program to an active weapons program. The NPT and the IAEA safeguards allow Iran to go as far as one step short of the nuclear threshold. They do not prohibit it from staying there consolidating its weapons capabilities until the moment of truth comes to invoke a “supreme national interest” in order to justify breakout from the NPT, crossing the threshold. Legally, Iran is allowed to stay as close as three months away from actual production of nuclear weapons, given that abrogation of the NPT takes three months to become effective. Under the current international nonproliferation regime, a risk-minimizing option for Iran to achieve its nuclear ambition was to adopt an incremental approach, which I term a “T-3” (T for threshold, 3 for three months) strategy. In the case of North Korea, in lieu of the NPT regime, the UN Security Council has enacted sui generis international law that imposes legal obligations going far beyond those required by the NPT and IAEA safeguards system. Under the relevant Security Council resolutions, it is to abandon all nuclear weapons and programs in a complete, verifiable, and irreversible manner regardless of whether they are for peaceful purposes or not. The Security Council also banned its launch of not only ballistic missiles but also what are claimed to be space vehicles for scientific purposes if they use ballistic missile technology. From the legal standpoint, the international community is far better equipped to deal with North Korea than Iran. If it has been less successful in dealing with North Korea’s nuclear armament, there is nothing to fault in the legal regime. Third, a striking difference exists in the levels of the collective commitment and resolve of the stakeholders to halting and rolling back the nuclear programs of the two states. In the case of Iran, in order to only slow down and scale down their enrichment activities and thus earn a few more months of time for intervention from the breakout to nuclear armament, the international community was able to mobilize unprecedented political will to enact the most comprehensive and biting sanctions with a secondary boycott system encompassing all major sources of revenue for Iran, including the civilian sectors of oil and gas, shipping, and banking which are not directly related to the nuclear program. By contrast, the international community has failed to muster such determination in dealing with North Korea’s far more dangerous, ongoing nuclear armament. The sanctions intended to roll back its operational nuclear weapons programs are partial in scope and ineffective in implementation due to the lack of coordination among the key stakeholders. They are limited primarily to the entities related to military trade, which represents less than 20 percent of North Korea’s foreign economic activities. Most civilian sources of hard currency earnings were exempted from the sanctions. Even if the sanctions are fully and effectively implemented with ideal coordination and unity among the major stakeholders, they are not designed to have enough impact to change behavior. The five nations participating in the Six-Party Talks together hold immense combined leverage to change Pyongyang’s behavior and induce a strategic decision to abandon its nuclear ambition. However, they have miserably failed to bring their collective weight to bear down in a way that leaves no alternative to denuclearization. For instance, North Korea was allowed to get around the sanctions in place and destroy their effectiveness by drastically expanding trade with China and thus continue unabated to fund its nuclear and missile programs. The message to Pyongyang was confusing. When China puts stability in North Korea before denuclearization in its official discourse and actual policies, North Korea interprets this as license for nuclear armament with impunity. Fourth, there is significant difference in the levels of determination of the two states for nuclear armament. North Korea attaches sacrosanct value to nuclear weapons as its holy grail and a source of salvation from an existential crisis and an ultimate insurance policy for survival. Therefore, its leaders were ready to pay a disproportionate price and sustain enormous sacrifices in economic development and the most basic needs of daily life for the ordinary people in order to retain and upgrade their nuclear weapons programs. While Iran’s nuclear ambition cannot be underestimated, it does not seem to regard nuclear armament as an existential issue. Instead, Iran is more likely to value nuclear armament as a matter of status for a nation aspiring to become a dominant power in the region and, thus, to regain the glory of the Persian Empire. There is also a clear difference in their respective capacity to sustain the sacrifices involved. Iran is vulnerable to sanctions as its economy is more integrated into the global economy. Moreover, in a more pluralistic and open society (with periodic elections) the Iranian people have less tolerance for the economic disruptions caused by the sanctions. North Korea’s determination for nuclear armament has been far stronger than the combined determination of the international community to denuclearize it. The half-hearted sanctions enacted by the Security Council and individual countries have proved affordable as an insurance premium in view of the high value of insurance policy found in nuclear weapons. Instead of crushing North Korea’s backbone, the actions of the Security Council ended up strengthening its immune system against sanctions. Finally, a decisive difference lies in the nature of alternatives to a diplomatic solution. For Iran, the alternative is not only more prohibitive economic sanctions but a preemptive military strike from Israel. In the case of North Korea, the military option has been ruled out from the beginning. The alternative to a diplomatic solution was nothing more than partial sanctions without teeth and the absence of massive economic assistance from the outside world and the Republic of Korea. Thus, North Korea sees no convincing incentives to denuclearize through negotiations. What will it take to denuclearize North Korea? Given the utmost value it attaches to nuclear weapons as well as the dire threat perceptions it harbors about the outside world, we cannot expect it to abandon its nuclear ambition anytime soon. However, it would be irresponsible to argue that North Korea will never give up its nuclear capabilities at any price under any circumstances. There remains a chance if the five parties can mobilize their political will to change its strategic calculus. One way is to give it no other choice but regime collapse with nuclear weapons or survival without them. Given such a choice, there is a reasonable chance it will opt for the latter, although one cannot entirely rule out a preference for collapse with nuclear weapons. China’s cooperation is central to this end. If China is really serious about a nuclear-free Korean Peninsula, it should do more than pay lip service to the virtues of denuclearization and repeat its ritual disapproval of North Korea’s policies. Drastically raising the insurance premium to the point North Korea can no longer afford it would entail a ban by a coalition of the willing on shipping and banking activities with a secondary boycott for noncompliant entities in third countries. Sanctions, however, are not a panacea. However biting they may be, the sanctions by themselves cannot denuclearize North Korea. All that can be expected from tightened and biting sanctions is to restructure its strategic calculus in a way that brings North Korea back to serious negotiations. At the same time, the substance of incentives for denuclearization should be made more palatable by showing what specific political, security, and economic benefits are in store for a denuclearized North Korea. Diplomacy has a better chance of working when countries threatened by the combination of North Korea’s nuclear and missile capabilities deploy assets necessary to effectively counter and defend against its threats. Such military preparedness will help in convincing the leadership that all the scarce resources invested in destructive capabilities and the sacrifices the people have endured have been in vain, only making North Korea less secure and more vulnerable. The Six-Party Talks retain value as a readily available venue for working out a diplomatic solution. However, the right time to reconvene them is when North Korea has made a strategic decision to abandon its nuclear ambition once and for all. Otherwise, they will become nothing more than a talk shop where North Korea plays games, demanding the repeal or easing of the sanctions and treatment as a de facto nuclear weapon state until it finds a pretext for the next nuclear testing. The best way for it to demonstrate a commitment to denuclearize is minimal confidence building measures, including voluntary declaration of all clandestine enrichment facilities and monitored shutdown of all nuclear facilities in operation. Finally, North Korea should not be given indefinite time to retain and further advance its formidable capabilities to destroy peace and harm its neighbors. A timeline should be set for it to make a strategic choice with an alternative more unpalatable than a diplomatic solution.